18 years ago today, I started my enlistment in the US Navy. Never Again Volunteer Yourself(NAVY) is the joke acronym that is used, although I think most people enjoy their time in the Navy. 6 years is what I did.Starting when I was 17 years old. Nearly two years at school and boot camp in Great Lakes ,IL followed by being stationed on a ship closer to home. Boot camp was during winter in Illinois. Cold. Very cold. Normally boot camp is two months, but I had an issue with my ASVAB test. Somehow in there, I ended up being listed as having weak English skills, and ended up having to remediate while in boot camp. I spent an extra month in class with ESL students. I still think I must have skipped a question on the test. The rest of my scores were fairly high, but it didn’t matter much, I spent my extra month in boot camp. I was first in company 267, but ended up graduating from company 008 in 1992. Next I went on to A School. “A” School was fairly easy. All multiple guess tests. I had just come from school . I ended up being top of my class, and I was offered “C'” School. “C” School automatically advanced me to E-4 or Petty Officer Third Class. I was top of my class for “C” School and offered my pick of orders. I picked a Frigate out of San Diego. A small ship offered more opportunities, and San Diego had the best weather in the US. I was stationed on a ship that was out of San Diego , CA. 32nd street. The USS Rentz , FFG-46. 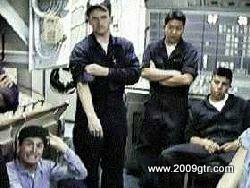 My rating in the Navy was GSE, or Gas Turbine Systems Technician , Electrical. 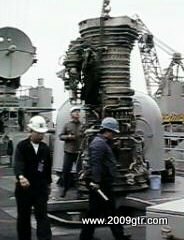 I worked on the electrical control systems for the gas turbine engines, and the control panels for the generators and other engineering type systems on the ship. Most of my time was spent in one space , Central Control Station, or CCS. Here a pretty normal view for me. Sitting beside the Electric Plant Control Console, looking across at a pissed off looking Engineman, or diesel mechanic. Behind him was the Auxiliary Control Console or ACC. Everything is haze grey, and lit by fluorescent lights. Every console had about 100 buttons and lights. Every one of those little buttons had 4 light bulbs in them. I spent a lot of time changing light bulbs. I can still go though some of my stuff, and find the little light bulbs. These would have been perfect candidates for LED lights, although might have ruined my job security. 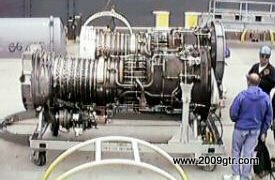 The gas turbine engine, or jet engine that I worked on was the General Electric LM2500. On the Frigate we had two of them that drove a reduction gear though the power turbine section. About 20,000 hp each driving the reduction gear though SSS clutches, that turned a single screw with controllable pitch propeller. 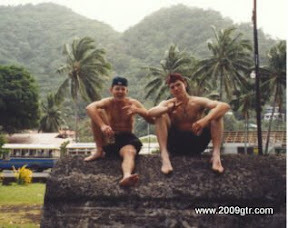 I met up with the ship in late 1993 and was on board though 1997. I went to many places around the world, and even a few here locally in the US,Canada, and Mexico. It was work, it was fun, it was an experience. Couple more pictures of my division, in CCS. Normal morning muster type thing. I will eventually get some more stories of my experiences in the Navy. I did get to visit a lot of countries, and even got in a bar brawl at one point. Such is life. FTN!!! Btw... The Vandy was way better than the Rentz... FFG 48!!! FTN!!! BTW The Vandy was way better than the crappy Rentz!!! FFG-48!! !